3. 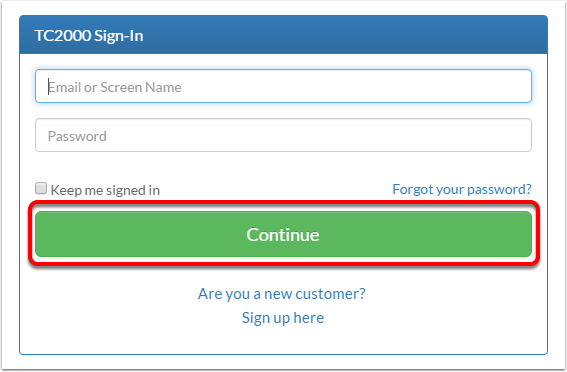 Sign in using your Email or Screen Names and Password. Select Continue. 5. 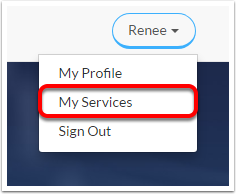 Select My Services from the drop down. 7. Click "Continue to checkout"
8. 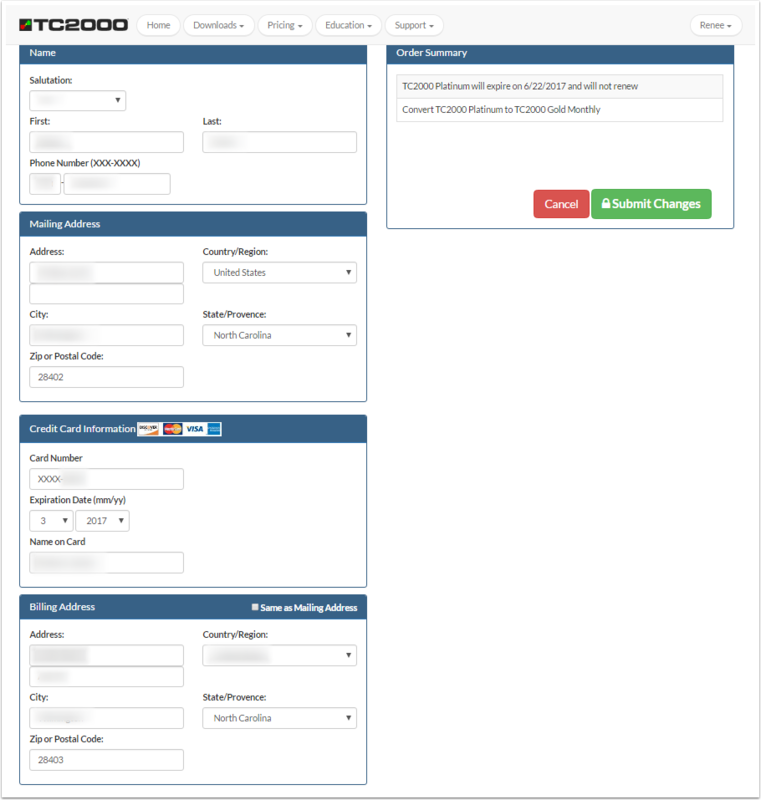 Change or update any necessary personal information. 3. 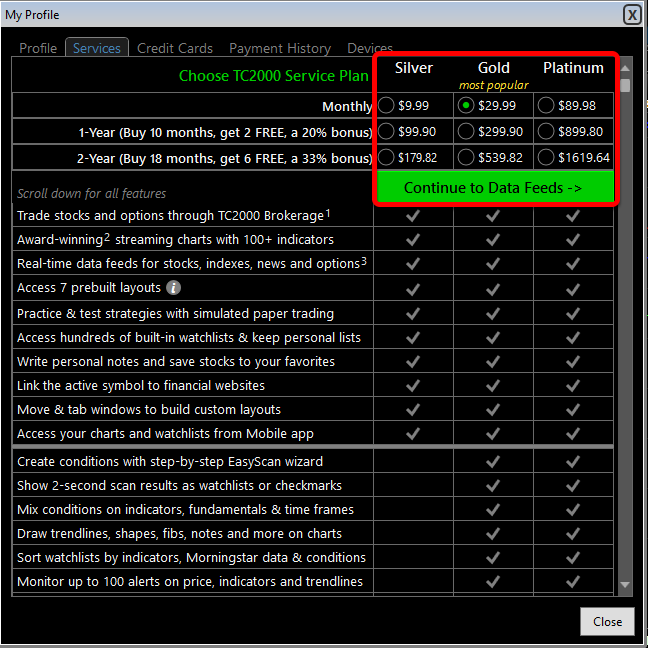 Click the Services tab, then View/Change Pricing Plans. 4. 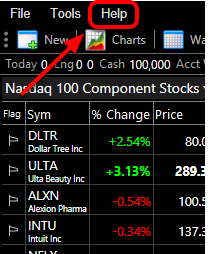 Select your plan change, then "Continue to Data Feeds". 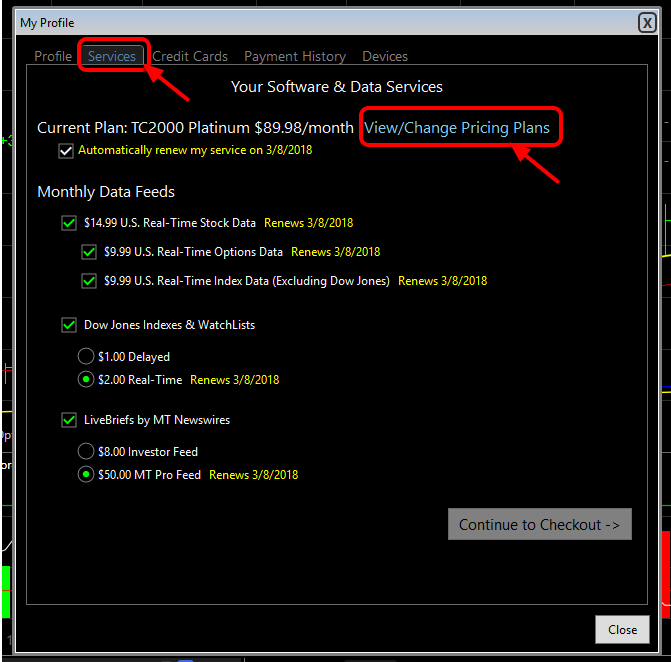 If you are wanting to add a data feed simply select "Continue to Data Feeds" without making a service plan change. 5. You will be directed back to the "Your Software & Data Services". 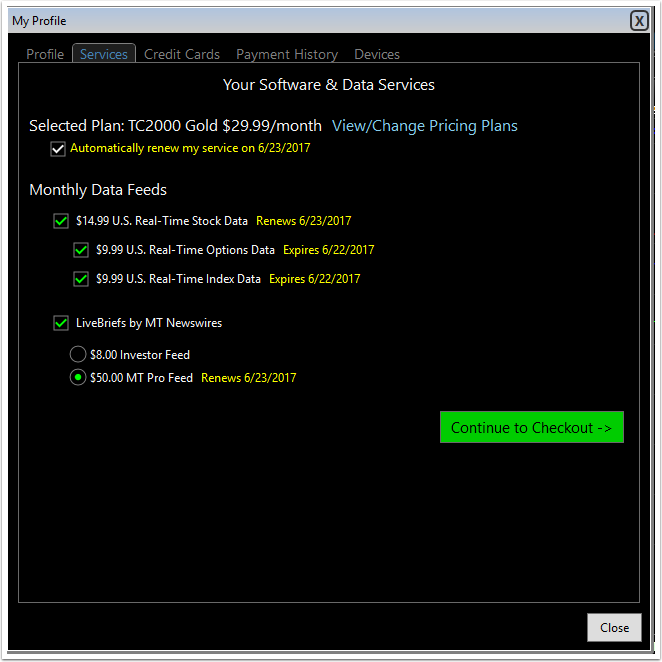 Add any additional Monthly Data Feeds you wish. Click "Continue to Checkout". 6. Check over you order carefully then select "Place your order". Please Note: Services may be prorated to your next billing date. 1. 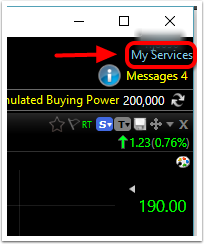 Click on My Services in the top right corner of your program. 2. 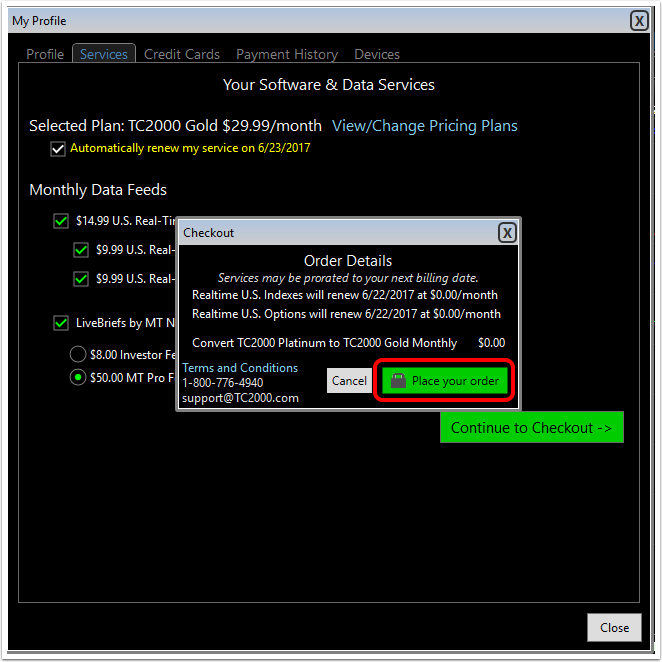 Be sure you are on the Services tab, then select View/Change Pricing Plans. 3. Select your plan change, then "Continue to Data Feeds". 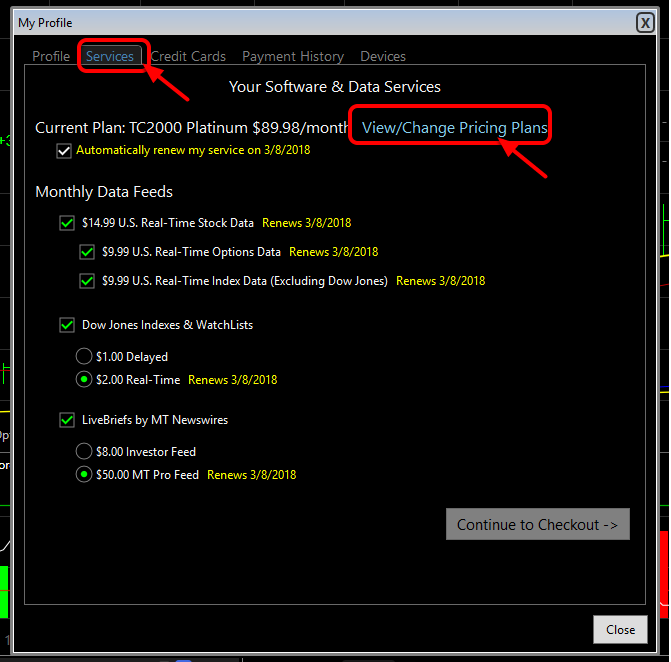 If you are wanting to add a data feed simply select "Continue to Data Feeds" without making a service plan change. 4. You will be directed back to the "Your Software & Data Services". 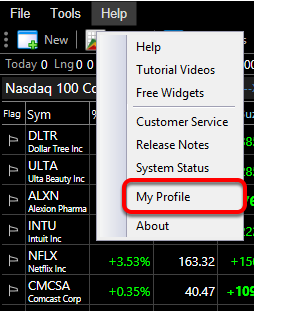 Add any additional Monthly Data Feeds you wish. Click "Continue to Checkout". 5. Check over you order carefully then select "Place your order".